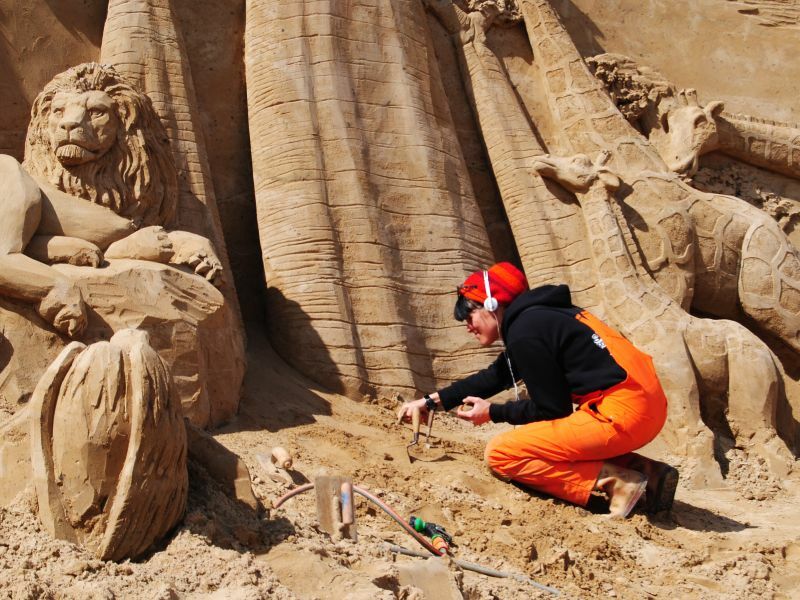 For the first time since 2004 the Dutch Sand Sculpture Festival goes back in Limburg. From Friday, April 30th through Sunday, September 26th 2010, Roermond is hosting the largest sand sculpture festival in the Netherlands. On the 17th of April more than fifty professional sand artists start to work with 13.000 tons of sand to create an impressive display of sand sculptures. Everything revolves around the theme "Love of Life." Just outside the city of Roermond, right in the Maasplassen area, is the 30,000 sqm large festival Hatenboer. The location has its own port of call, so the festival visitors can reach by water. The United Nations has proclaimed 2010 the International Year of Biodiversity. The theme of "Love for Life" deals with various aspects to the variety of flora and fauna conservation. One such aspect is durability. Roermond is an ideal location because the sand and the water for the sculptures comes from the river the Maas. Moreover, the images are created by manpower. The organization wants to make maximum use of natural energy. Visitors will gaze to the impressive sand sculptures. Sometimes they imagine themselves in a tropical rainforest, or on a coral reef. A savanna and an affected farm. 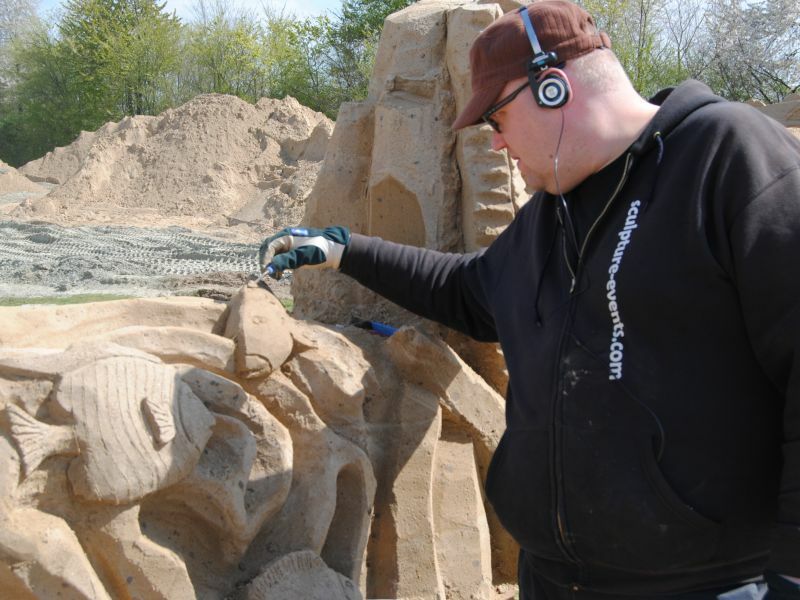 Of course, through sand sculptures focus on protected animals and plants. The Sand Sculpture Festival will use more than 13 million kilogram of sand. The special sculpture sand is directly derived from the river Maas. Unlike most beach sand sculpture sand that holds an angular grain. This may be compressed harder and get the artists the chance to make something special out of it. It is also this special sand that makes the sculptures more resistant to wind and rain. More than fifty professional sand artists from all over the world are busy for about two weeks, with straws and spatulas, palette knives and water hoses to get sand hills into a special and impressive spectacle. The artists include from the Netherlands, Russia, Ireland, England, Germany, Canada and Finland.